Dr Paul Prescott is Associate Professor (Reader), and teaches on the English and Comparative Literary Studies program. 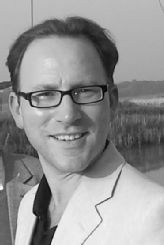 He joined the department in September 2005 as the CAPITAL Centre Lecturer in English and has taught and acted Shakespeare in the UK, Japan, China, Cuba, Australia and North America. He is active in script adaptation for professional Shakespeare productions; in 2018 he has adapted the text for productions such as The Merry Wives of Windsor (Illinois Shakespeare Festival, summer 2018), Othello (Montana Shakespeare in the Parks, summer 2018) and for the National Theatre's current production of Macbeth, directed by Rufus Norris and starring Anne-Marie Duff and Rory Kinnear (Olivier Theatre and UK tour). My main research interests lie in Shakespeare in performance, theatre history, the theory and practice of arts criticism, festival culture, and schools and undergraduate pedagogy. 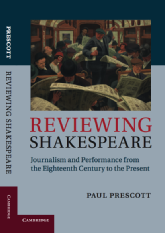 Reviewing Shakespeare: Journalism and Performance from the Eighteenth Century to the Present was published by Cambridge University Press in late 2013. Other recent work includes the first critical biography of Sam Wanamaker, founder of Shakespeare's Globe, and a separate article on his performance as Iago (to Paul Robeson's Othello) in 1959. Until recently, I was, with Roberta Barker, co-Editor of theatre reviews for Shakespeare Bulletin and am co-General Editor of the website ReviewingShakespeare.com. In March 2012, Erin Sullivan (Shakespeare Institute) and I launched an AHRC-funded project that sought to gather and analyse audience responses to the World Shakespeare Festival and other Shakespeare-related events in the Cultural Olympiad. An illustrated collection of all 75 commissioned reviews was published by Arden in 2013 as A Year of Shakespeare. A subsequent collection of interdisciplinary essays, Shakespeare on the Global Stage: Performance and Festivity in the Olympic Year, was published by Arden in 2015. 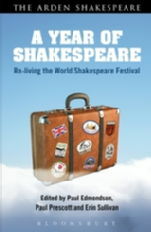 I am currently working on a range of projects relating to Shakespeare festivals around the world. One of these projects, Shakespeare on the Road, is a collaboration with Paul Edmondson (Shakespeare Birthplace Trust) and AJ and Melissa Leon (Misfit-Inc); our team marked the 450th anniversary of Shakespeare's birth by touring fourteen North American Shakespeare festivals in 60 days over the summer of 2014 (www.ShakespeareontheRoad.com). A key aim of the project was to build an oral history of the festivals; you can hear a short sample of the interviews below. The trip was the subject of a two-hour programme on Classic FM, presented by Maxine Peake and broadcast on July 4th 2016. I have recently adapted The Taming of the Shrew, Richard III, Macbeth and Othello for Montana Shakespeare in the Parks - the productions toured five states and played in over 60 communities in the summers of 2015-18. In April 2017, Shakespeare in Yosemite, a collage piece which combined passages from the works of Shakespeare and John Muir relating to nature and the environment, played in Yosemite National Park, California. An eco-inflected adaptation of A Midsummer Night's Dream played to large audiences in Yosemite in April 2018. My core teaching generally takes place in 'hybrid' sessions in EN301: Shakespeare and Selected Dramatists of His Time. In 2017-18, I will also be teaching: EN9A7 Drama and Performance Theory MA module and IL021 Local and Global Shakespeares, co-taught with colleagues and students at Monash University, Melbourne. In recent years, I have taught on the Global Shakespeare core MA, on my own MA module, EN9A8 Reviewing Shakespeare, and have contributed sessions to IB3H50 Images of Creativity (in Warwick Business School), Academic Writing for the Media (an IATL interdisciplinary module) and TH320 Intercultural Theatre Practices (Theatre Studies). In future years, I hope to re-run some of the modules I've created since joining Warwick: EN327: Shakespeare and the Director; EN337: Shakespeare, from Page to Stage to Page; and EN272: The Faust Project (Interdisciplinary and Creative Collaboration; The Faust Project was developed as part of a two-year Academic Fellowship in the Reinvention Centre). Arden Performance Editions: Othello. Editor. Bloomsbury, 2018. 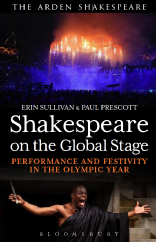 Shakespeare on the Global Stage: Performance and Festivity in the Olympic Year, edited with Erin Sullivan. Co-author of Introduction and solo author of chapter 'Shakespeare and the Dream of Olympism'. Bloomsbury, 2015. Reviewing Shakespeare: Journalism and Performance from the eighteenth century to the present. Cambridge University Press, October 2013. A Year of Shakespeare: Reliving the World Shakespeare Festival (editor with Paul Edmondson and Erin Sullivan; introductory essay on history of theatre criticism; reviews of Macbeth and Troilus and Cressida). Bloomsbury, 2013. 'Sam Wanamaker' (c.25,000 words) in Great Shakespeareans Volume 15: Poel, Granville Barker, Guthrie, Wanamaker, ed. Cary Mazer. Continuum/Bloomsbury, October 2013.